Many of my blog posts are inspired by personal experiences and this is one of them. It feels so rewarding when a client understands the importance of good custom tailoring for their clothing and are willing to spend a little extra time and money doing so. When I have questions about a garment and tailoring I frequently recommend two of my preferred tailors, Nina or Ann. Nina, of Alterations by Nina, trained in custom tailoring and pattern making in Italy. She worked for over 10 years in this capacity before coming to the US. She is an expert on how a style would best look on her client’s body in terms of fit and proportions. She determines whether or not a “nip or tuck” is necessary. I ALWAYS get an honest opinion and I very much trust her eye and experience. I have saved a great deal of money on “fit mistakes” as well as feel great about the minor adjustments that have been made to many things in my fantastic wardrobe. Most clothing in retail stores are manufactured overseas in large factories; seams and hems, etc. are not often straight. How many times have you tried on two pair of pants, the same size and color, and they fit differently? Our bodies are not always symmetric–have you noticed that? The most common alteration are hems on skirts, dresses, or pants but there are many other possibilities. For example, have you thought about sleeves on jackets or tops, waists on skirts or pants, or shoulder adjustments? “I don’t love it enough to pay for alterations”. “Alterations are expensive”. “I paid this much for a garment and I am NOT willing to pay more for any alterations”. “Either it fits perfectly off the rack or I am not going to buy it”. It is surprising since a potential minor alteration can open up a more varied selection of styles. Think of the possibilities you can open up with style and sizing! Making room in your budget for alterations is especially important when you are a “special” size–i.e. 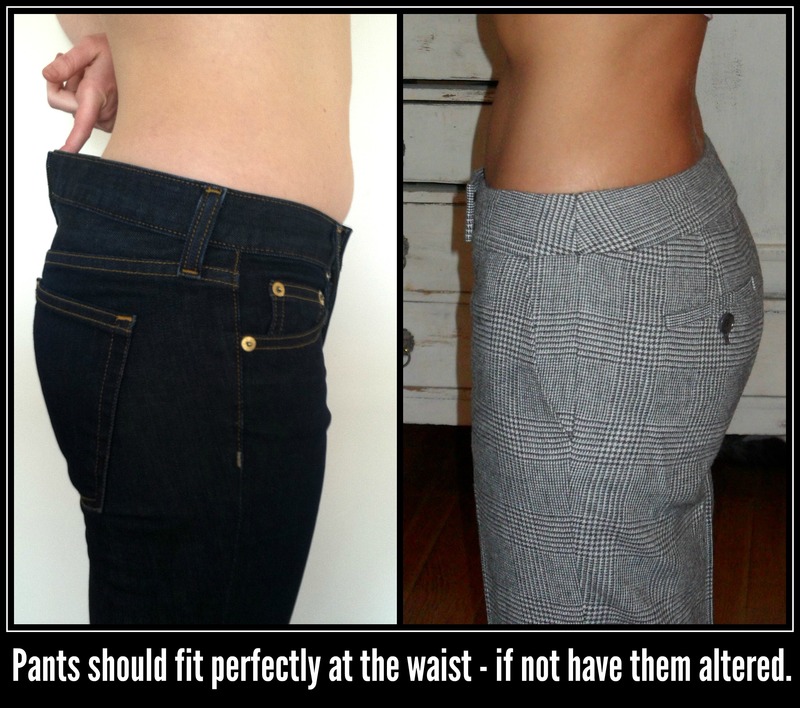 if you are petite, full figured, if you are one size on top and another on the bottom, if you are long-waisted for your height, if you are short-waisted, etc. Minor alterations to an inexpensive item can upgrade the garment from “cheap” to fashionably expensive. It is all about the fit! So… if you are challenged whether you need a petite or a woman’s size, for example, fit the largest dimension of your body, no matter WHAT the size, and get the rest of the garment professionally altered to fit and flatter. Your clothes will be custom fitted for you and not a generic-sized woman. 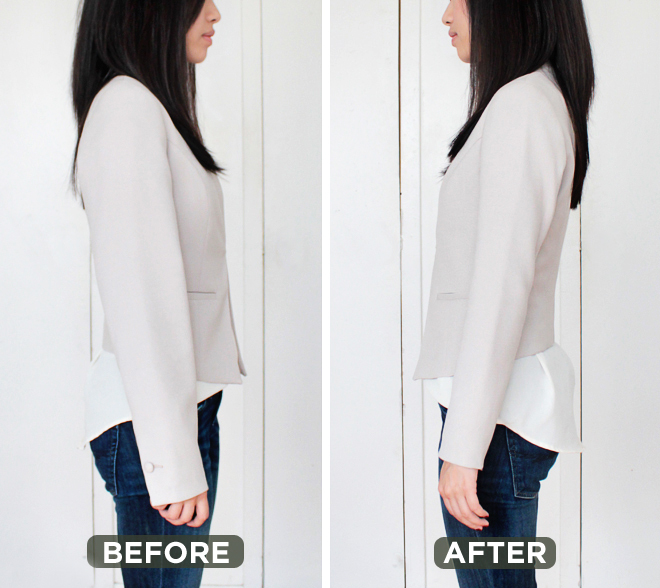 Whether you spend $80 or $800 for a garment–A simple nick and tuck upgrades that garment instantly! A perfect fit can be a statement of your professionalism and attention to detail. Book me now for your summer closet audit and we can go through your key wardrobe pieces for fit! Ask me about a “mini” audit special pricing!